Facebook makes its money by targeting advertising at its users, and the way it accomplishes that is by gathering as much of our data as it possibly can. That includes potentially sensitive information such as our political leanings, sexual orientation, religious beliefs and even your finances. And according to a report in The Wall Street Journal this week, Facebook has repeatedly tried to access the latter via its Messenger platform. 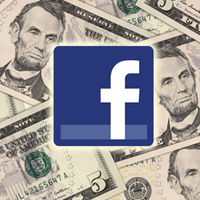 Many privacy advocates and experts were skeptical when Facebook introduced the ability for users to link their Messenger accounts with their financial institutions in order to make payments over the platform. It turns out those fears were apparently justified; the company allegedly pressed these financial firms for years to gain access to user information. According to the report, it was the financial companies, not Facebook, that grew uncomfortable with the potential privacy implications. Many of the firms made Facebook negotiate agreements that limited how Facebook could use the data that passed through their servers. Facebook defended itself by arguing that it always stresses the importance of privacy to its business partners. Facebook has probably backed off these efforts since its privacy scandals this year, but it’s troubling nonetheless that the company was so hungry for our financial info in the first place.